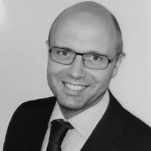 Christoph Brepols is the Project Manager for Planning of Municipal Wastewater Facilities and Deputy Head of the Wastewater Planning Department at Erftverband. He has been responsible for the completion of the company’s three full scale membrane bioreactors. Currently he is In-charge of the company’s Masterplan Wastewater 2025. He holds a Dipl-Ing in Civil and Environmental Engineering from the University of Applied Science Aachen, Germany. He has joined the Erftverband in 1994. Since then he has been involved in several international R&D projects concerning MBR Technology and is Author and Co-author of several books and articles on MBR.